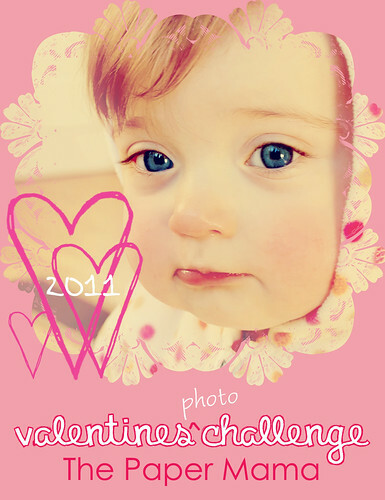 I betcha didn’t think I was going to enter the Paper Mama’s Valentine’s Photo/Card Challenge, did ya? I’ll admit that I had several ideas that included Kitty Paw in multiple personalities. 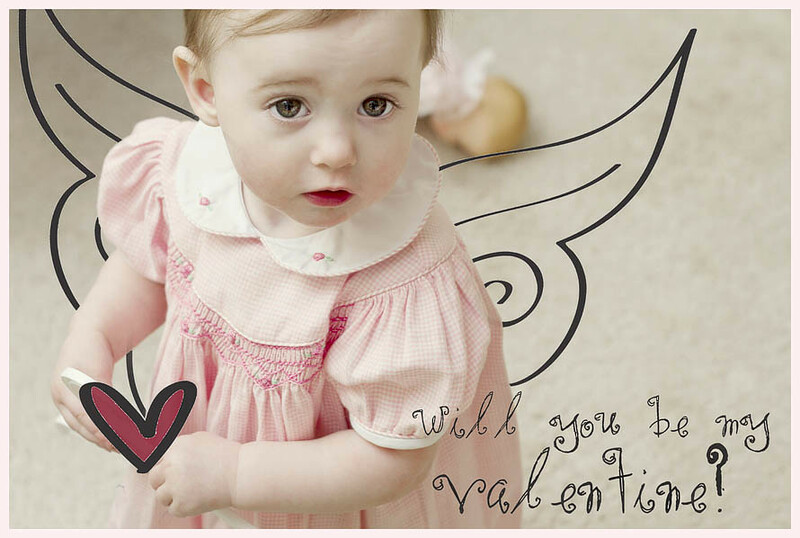 Unfortunately, Kitty Paw wasn’t quite as interested in a Valentine’s Day photo shoot as I was, so I decided to use one of my photos from my session with Caroline the other week. Isn’t she cute? By the way, have you noticed that I’ve added a few new options to my blog? Underneath my “follow” widget, you’ll find my Twitter, Facebook, Subscribe (with option to subscribe by email) and Flickr buttons. I’m a little slow to catch on to the latest trends with social media…but I’m getting the hang of it. With that said, have a great day. I’ll be musing over at Mortal Muses (please come see me), and I’ll be back later with an incredible giveaway!